I like the ability to add images that are basically scans of existing graphics treated as materials. I'd like to do the same with larger panels, but they tend to "tile" to cover the larger surface. 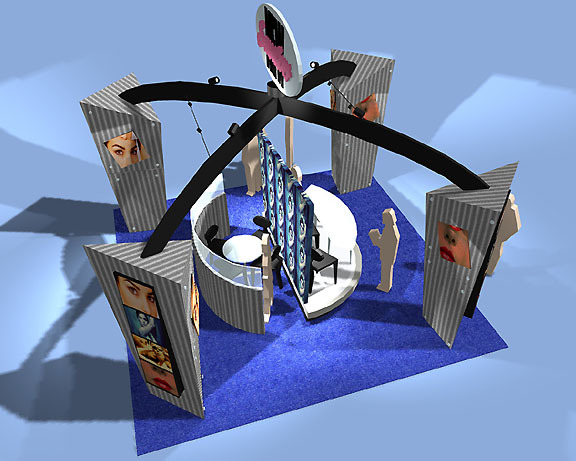 The client later asked if this design could reconfigure as a "backwall" exhibit. I was able to move model elements around to quickly reconfigure and answer "of course it can." DesignWorkshop has made it easier to keep up with ever-changing client requests.